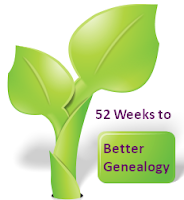 Week 36: Check out the Family History Library catalog (http://www.familysearch.org/eng/Library/FHLC/frameset_fhlc.asp). In terms of its library collections, there are no rivals. From this web page, you can search by place, surname, keyword, title, film/fiche, author, subject, and call number. Try all of them. Don’t do actual research with this exercise. Instead just click links and see all the catalog has to offer. Many of these... items can be rented for a small fee and viewed at your local Family History Center (http://www.familysearch.org/Eng/library/FHC/frameset_FHC.asp). You do not have to be a member of the LDS Church to utilize this service. This is a timely challenge for me. Last week I got the call that my FHL microfilm was in! After learning what parish my Baudermann's were from, Klepsau, Baden, Germany I went online to the Family History Library catalog to see what records are available on film. I found two sets of film for the area and time frame I was looking for. Using the place name search, I simply typed in Klepsau and found listings of film from the Catholic Church. After printing out the film notes pages I used Google Translate to identify exactly what the films contained, which is: baptism, confirmation, marriage and death records. What more could I ask for??? Well I could ask for the film to be translated from Gothic German script into English, but that's a pie in the sky dream! As I am close to the Midwest Genealogy Center, I requested that my film be sent there. I had no idea how long my wait would be, luckily it was only two weeks. I made a trip to the library the evening I received the call and started viewing. Needless to say, I was shocked when I saw the records and my initial reaction was "no way I'm going to be able to figure any of this out", but I kept at it and eventually began to see patterns in the records and figured out how the index worked. From this index I was able to find the baptism records for my Great Grandfather and two of his siblings! I used my digital camera to take photos of the microfilm after many unsuccessful attempts to print a readable copy. I then used Picasa to enhance the images for reading. I have the film for 30 days and will be making many more trips to view and hopefully find all of the baptisms listed as well as some marriage records. The Family History Library's collection can be brought directly to you, either to a library or Family History Center. Take some time to review the catalog and see what they have available in your areas of research.